Major news outlets around the world such as Time, Men’s Health, and New York Post are reporting on new research findings connecting NAD levels with anti-aging, that even NASA is interested in. NAD (nicotinamide adenine dinucleotide) is a critical coenzyme necessary for energy metabolism and supporting healthy DNA. Preclinical research indicates cellular NAD and its metabolites may be important to combat age-related damage to DNA, and other compounds in the body such as proteins and lipids that make up healthy cell structures. Because NAD declines as we age, scientists worldwide have been working to figure out ways to maintain or even boost NAD in cells. Over the last decade, researchers have contributed new published discoveries that have helped us increase our understanding of why and how NAD is essential for cellular functioning, and what happens to these functions as part of the normal aging process. 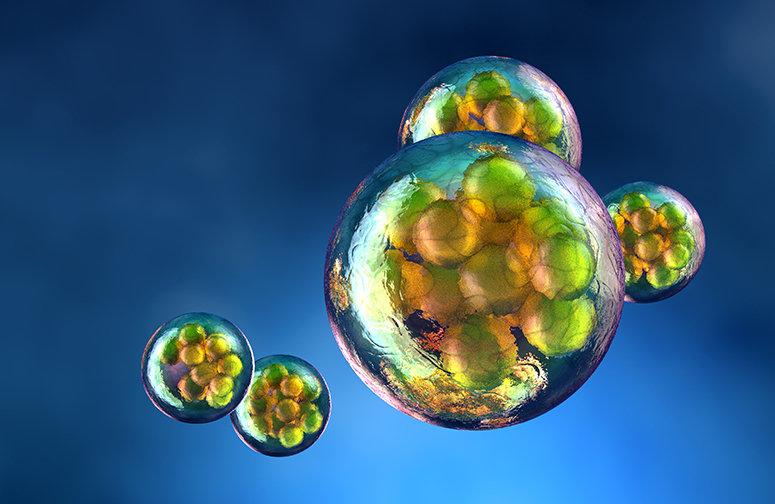 Recent findings in Science suggest that NAD is directly regulating the ability of the cell to maintain healthy DNA by preventing the formation of a protein complex called DBC1-PARP1. We like PARP1, because it is an enzyme necessary for healthy DNA. PARP1 also needs NAD to be present to do its job. When DBC1 attaches to PARP1, it can’t perform its work repairing DNA. Put another way, DBC1 is like the “off” switch for PARP1. The investigators showed that older mice had higher concentrations of this DBC1-PARP1 complex and they also had lower levels of NAD in their livers. When the mice were given a NAD precursor (or booster) called NMN, they saw reduced levels of the DBC1-PARP1 complex, higher levels of NAD, and healthier DNA—all of which are good things. Although there are exciting indications in mice that DNA may be repaired with increased NAD, scientists have further research to do. Research published in late 2016 in the journal Nature Communications taught us more about how supplemented NMN is able to boost NAD. Study results showed that when NMN is given, NMN must be broken down into a different NAD precursor called nicotinamide riboside (NR), so it can enter the cell, and ultimately become NAD. This needs to occur because the molecular structure of NMN prevents it from directly crossing the cell membrane—at least that is what the published research to date suggests. There are a number of known NAD precursors. Most are forms of vitamin B3, including: niacin (NA), nicotinamide (NAM), and nicotinamide riboside (NR). The other is tryptophan, but tryptophan has been found to be significantly less efficient than some of the vitamin B3 alternatives. While the recent Science publication did demonstrate that NMN has the ability to increase NAD levels in mice, NMN has not been studied in humans, so we don’t yet know how effective it will be at boosting NAD in people. That may be a logical next step in the research. Such research already exists for NR. A team of researchers, headed by Charles Brenner, PhD, the Roy J. Carver Chair of Biochemistry at the University of Iowa Carver College of Medicine, published their study findings last fall in Nature Communications. This research demonstrated that NR increases NAD levels in both animals and humans, which is an exciting finding given that NR is readily available, and its safety data was submitted to the Food and Drug Administration (FDA) through the New Dietary Ingredient and Generally Recognized as Safe notification programs. This new research can be interpreted as the discovery of yet another way in which cellular NAD levels are important to healthy aging. We love seeing experiments that advance our knowledge of the important role of NAD and how it helps to extend health span (the collective years spent in good health). Dr. Amy Boileau is a Nutrition Scientist, Registered Dietitian, and health care advocate with a background in NAD biology, and pediatric and diabetes nutrition care. Her current research is dedicated to improving overall health and quality of life during aging.